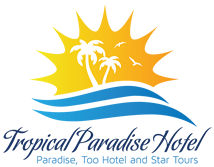 Has a well- stocked bar with such local favorites as Tropical Paradise Rum Punch and our famous Margaritas and Pina Coladas. Buckets of Beer are always Cold and ready for you. Monday – Saturday from 7:30 a.m. – 9:00 p.m.